Dance offers a full body workout to some of your favourite songs in a sociable group setting. From Hip Hop, Jazz, Zumba or even a ‘Twerk Out’, dance is a good workout and a great way to get into shape. You don’t have to be the next Beyonce to attend a dance session, all you need is high levels of enthusiasm and your dancing shoes. Most local gyms and leisure centres offer dance classes, including beginner classes and many welcome disabled people into all classes, or specially adapted ones. Whether you like to cha-cha or conga, Bollywood or break dance, salsa or shuffle, let your inhibitions go and meet some like-minded people along the way. Be prepared to show your best moves and learn some new ones, so it's best that you wear comfortable and supportive sportswear. Some classes like ballet or jazz may require you to wear specific clothing. 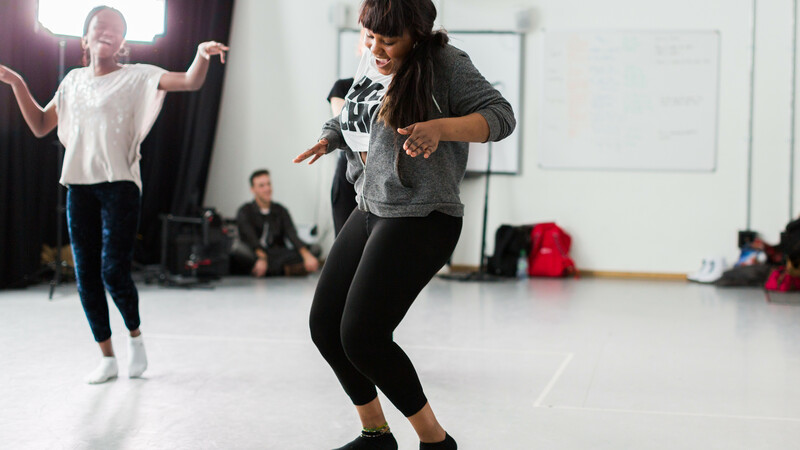 If you want some more information, take a look at the Exercise, Movement and Dance Partnership for campaigns you can be part of and how to become an instructor.